This past week was very hectic with embroidery on two saree blouses. A black work design was chosen for the second blouse in peach silk. After working on the black work pattern. 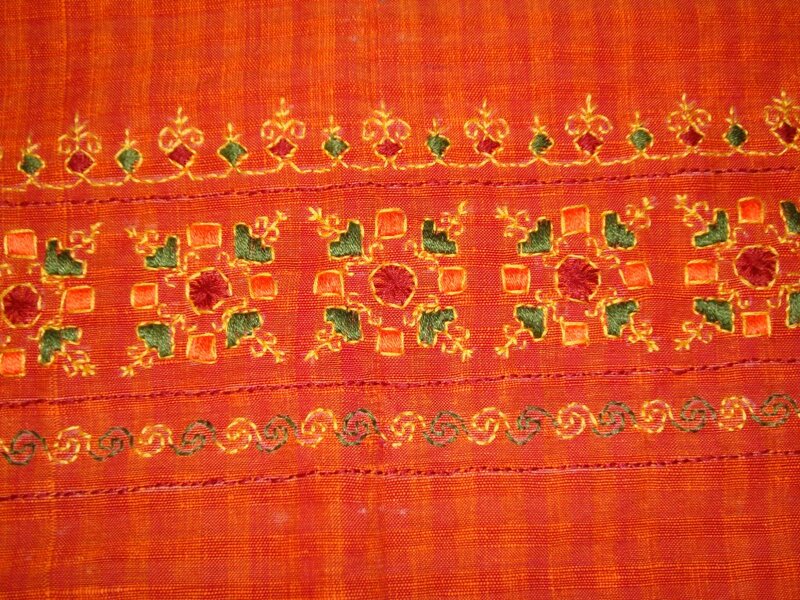 Certain elements were worked in metallic thread similar to Aari work. Gold beads were added as embellishments. A few more colour threads were used on black silk blouse. Totally there are 8 colours on the black blouse. The peach silk was completed yesterday. The black blouse was completed today. We are leaving for India for a week. Our friend’s daughter is getting married. My mother is not feeling well. This year Oman is celebrating its 45th national day. Starting from 18th this whole week will be a festival. If time permits, blogging on earlier worked tunics may be done. Work In Progress Wednesdays-67 Happy Diwali! I have started embroidering on black silk blouse. These blouse projects are for a friend. 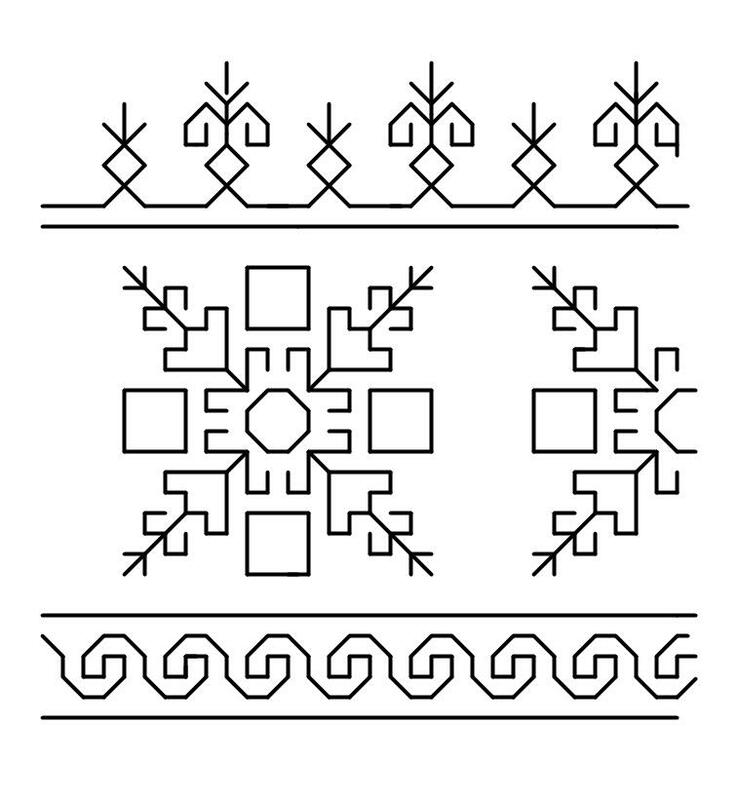 I can share some of the details, the design which are for the sleeves is a simple geometric filling. Cotton skeins are used throughout the work. The fabric being delicate silk, it is not possible to use hoop. For an earlier project, the hoop was used on crepe silk fabric, the fabric yarn was giving away at some places, which was realized at a later stage. So, maintaining the thread tension is the most difficult part in this project. This project was not touched from Saturday when the new edges were posted on the site. The free graph is available here. The blue tunic with ethnic embroidery is also kept on hold for the time being. The kutchwork borders also waiting in the queue. Yesterday was Diwali festival. The routine is to prepare various sweets and savoury snacks and share them with friends. The past three evenings were for Diwali routine. Blogging did not feature at all. Searching for the appropriate design for the second blouse is continuing.